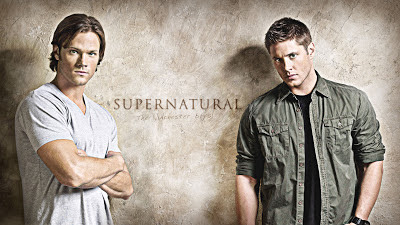 Okay, first of all, can we all please just take a moment to appreciate the attractiveness of the two Winchester brothers? Because I'm in love with both of them. Dean, the ever sarcastic and cocky brother, won my heart from the beginning. Sam is deeper but just as swoon-worthy. This series is definitely one of the more intense, creepier shows that I watch. But I love it. As much as I appreciate a good comedy show, something about the drama and spookiness of Supernatural keeps me coming back for more. I'm only on Season 1, but I'm hooked. While the series may get pretty dark, there are always moments of comical relief, mostly due to Dean. I'd definitely recommend this series to anyone who (a) appreciates a show with two extremely attractive brothers and (b) loves a a bit of a thriller.